The last time we talked about this issue, it was July of 2013. Since then, a designer has been chosen to help alleviate flooding issues that have long-plagued Cedar Street and Hall Avenue and is ready to present at the 25% design phase. Proposed work in this area will include water, wastewater and storm water system upgrades. The meeting will take place on Monday September 8th, in the Kennedy School and begin at 6:30 PM. Cedar getting some remedy attention is fine; but there are other locations/streets where flooding problems have existed for years. Not all the flood waters ends up on Cedar; much ends up in my neighborhood and residcent's cellars for years on end. Possibly with the exception of the higher elevations in Somerville (Ten Hills, Spring Hill, Walnut Hill, etc.) 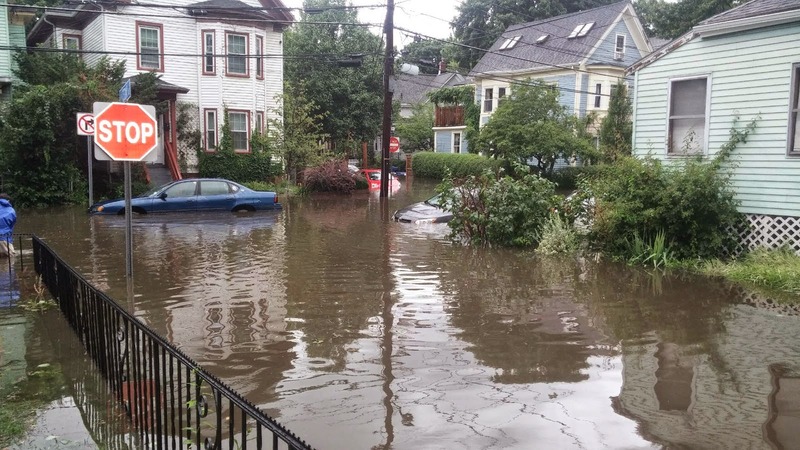 flooding is a problem in most all of Somerville; in particular the low-lying neighborhoods contiguous to the higher elevations mentioned above.